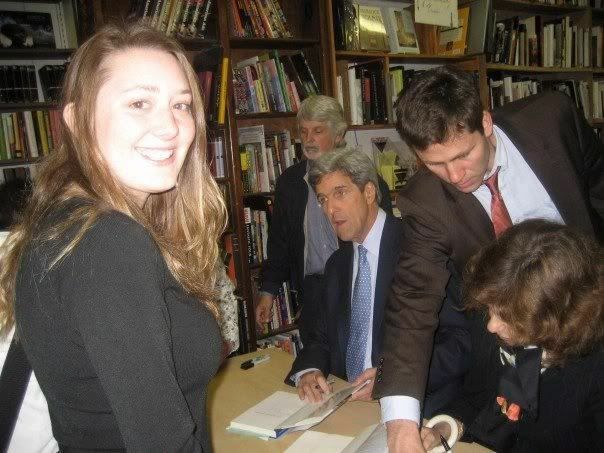 My girlfriend Andi (seen here at Kerry's booksigning in Brentwood) got accepted to the Peace Corps a couple of days ago. I don't often--or perhaps, ever--write personal stuff on my political blog, but I just wanted to say how proud I am of her. As of now, she's slated to leave in May 2008 for an environmental development program in Eastern Europe or the Caucasus region. She's a rare jewel and I couldn't be happier for her.